Tooth fillings have long been the answer to treating mild to moderate cavities (holes that form in teeth due to tooth decay). The filling works by restoring the tooth structure you’ve lost, reinforcing the tooth so it can continue to withstand pressure from biting and chewing. At Austin General Dentistry, we offer a variety of tooth fillings to fit everyone’s unique needs, from strong metal amalgam to tooth-colored resin and porcelain. When placed early, a filling can stop the spread of decay and save you from having to undergo root canal treatment. A cavity is almost imperceptible when it first develops in the outer enamel of your tooth. The hole is caused by acids produced by oral bacteria which accumulate in dental plaque and tartar. As the hole grows larger, it exposes your main tooth structure to infection from oral bacteria – also known as tooth decay. The longer it remains, the larger a cavity grows and the more tooth structure, or dentin, you will lose to decay. A dental filling procedure involves cleaning the bacteria from inside of the cavity to prevent it from spreading, and then replacing the lost tooth structure with an appropriate filling material. What Kind of Filling Do You Need? Dental amalgam is a mixture of safe but strong metals that are applied as a soft putty which quickly hardens after being shaped to your cavity. 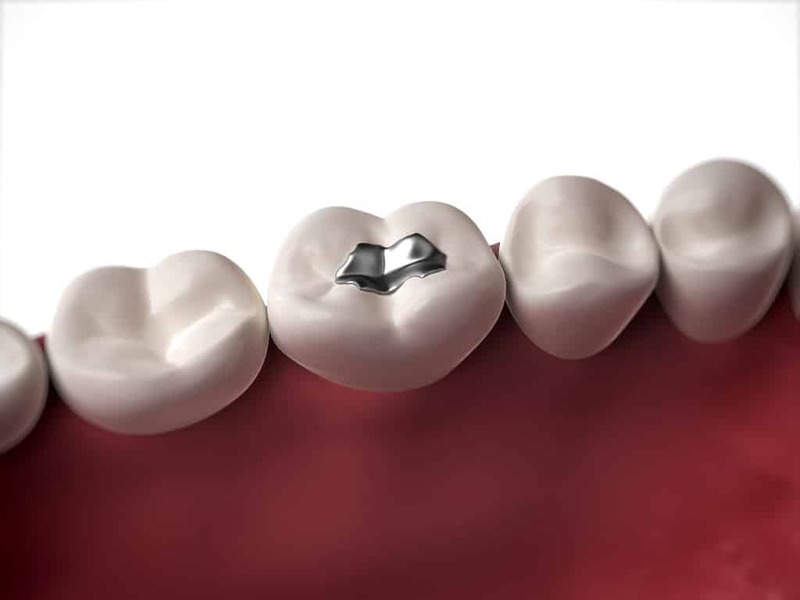 Because of its durability, metal amalgam is often recommended for molars situated at the back of your mouth, which absorb the majority of your bite pressure. Tooth-colored composite resin is a combination of finely-ground acrylic and quartz-like particles that can be tinted to match the color of your afflicted tooth. The resin can also be securely bonded to your tooth’s structure to create an effective seal against oral bacteria and reinfection. In fact, the resin provides such lifelike results that it is often used in cosmetic tooth bonding. Like composite resin, dental ceramic is designed to closely mimic the appearance of your natural tooth structure. Yet, ceramic is more stable and sturdy than composite resin, and may provide a more durable solution than resin for teeth that are situated close to the back of your dental ridge.